Specification: The repair of road carriageway barriers and a retaining wall following damage caused by a Road Traffic Accident. 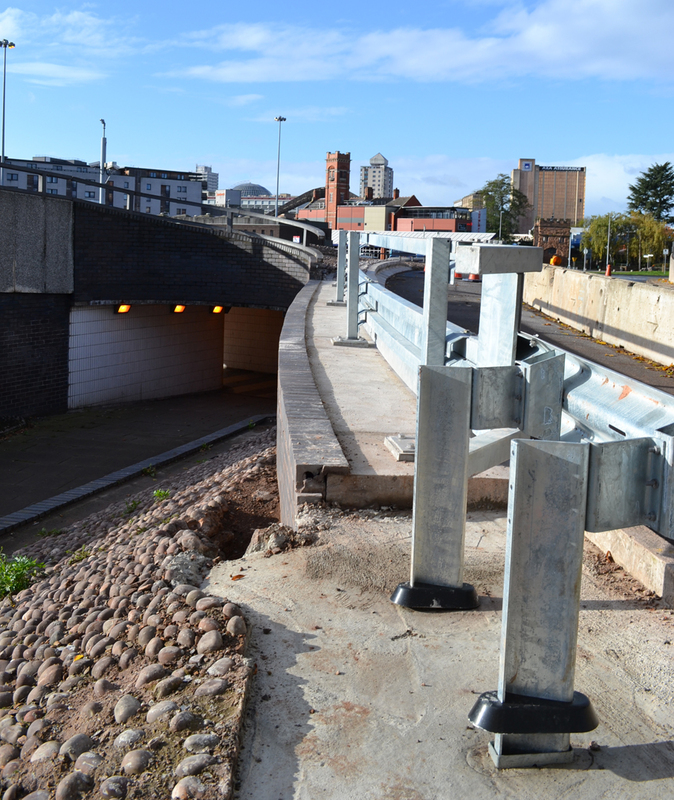 Barrier Removal: Removed loose and damaged barriers along with structural concrete support plinths. Concrete Replacement: Cast new formed concrete footings for the new barriers. Replacement Barriers: Installation of new barriers at the site. Retaining Wall: Removed damaged section of wall. Repaired sub-structure and then put in new replacement brickwork.